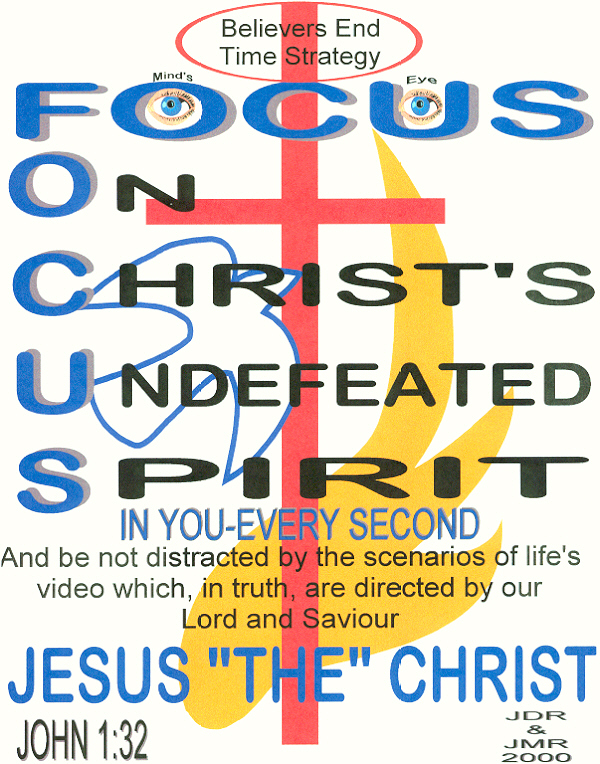 Holy Spirit- Why Focus on Him? 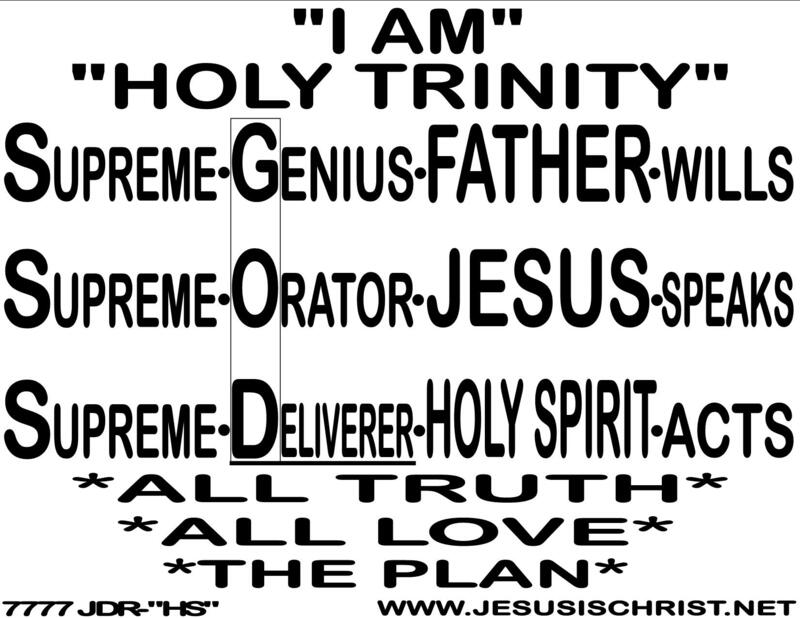 He is the Third Entity of the Trinity. He Executes all that Our Father Wills and that Jesus Speaks. He Abides in us after we are born again to teach, nurture, keep us in Perfect Peace, protect, guide us into all truth and take us to Jesus when the rescue takes place. He lives in Our Minds (Temples). We must surrender totally, to Him in order to benefit from the power of His presence. We must practice staying mentally FOCUSED on Him, so that the will of Our Father is paramount in our minds through Him. Otherwise it is our carnal will that we follow. Our way, not the Fathers! “Seek ye First the Kingdom of God, (Presence of the Holy Spirit in us) and His Righteousness and all these things will be added unto us. Seek the council of the Holy Spirit at all times, about everything (First), instead of running to man. If He wants us to seek the council of man, after that, He will make that known. Staying constantly in touch with the Holy Spirit in us Keeps us in the mindset of surrender, for only in that state do we seek His guidance in all things and understand how insignificant our so-called human knowledge and intelligence really are. “The Greatest human mind or genius, and its intelligence does not even scratch the surface of what the Holy Spirit teaches us about our Father and the TRUTH-JESUS and what their will is for each of us. Jesus said: “This is my commandment to you; Love One Another as I have loved you. That means love everyone, friends and enemies, no matter what they Say about or do to you. He was the only human in history whose life was an example of that commandment. What is the Most Powerful Prayer in the Universe and Why? JESUS teaches us to pray? 5: And when thou prayest, thou shalt not be as the hypocrites are: for they love to pray standing in the synagogues and in the corners of the streets that they may be seen of men. Verily I say unto you, They have their reward. 7: But when ye pray, use not vain repetitions, as the heathens do: for they think that they shall be heard for their much speaking. Thy kingdom come. Thy will be done in earth, as it is in heaven. Give us this day our daily bread. These words that He gave us, if closely scrutinized, cover everything that a believer needs to petition our “HEAVENLY FATHER” for, concerning his or her life. ourselves: just as “JESUS” Promised He would. for anything, including prayer. Prayer would be the most convenient way for The Body of “THE CHRIST” to be unified in our society today. disciples and he said to them, “I tell you that, if these should hold their peace, the stones would immediately cry out.” (Luke 20:39-40) In this He lets us know that “praise” can and should be an external acknowledgement of our love and devotion to Him, for who He is and what He has done. On the other hand, when he taught us to pray, he made it clear that prayer should be a personal and “secret” communication between the believer and “THE FATHER”. He also knew that in these last days the enemy would influence man to have laws restricting us from praying in certain places at certain times in our society, but if we pray in the manner that he taught; these laws would not even apply to us. We could pray anywhere, anytime, for any thing and they could not stop us; for there are no laws regulating our thoughts, yet! Finally, when we pray, if we all began to use the same powerful words “JESUS-GOD” gave to us, out of his mouth, we could once again, as the body of CHRIST, be on one accord in prayer and supplication,” and the movement and power of the “HOLY SPIRIT” among the saints would be unprecedented in these last days. The praying of our Savior’s prayer, says to our Father that it is not about what we want or need, but it’s about His will and plan being manifested in each of our lives. Try it yourself and watch the “HOLY SPIRIT,” as you stay “FOCUSED” on Him, move in your life; then pass it forward to those who may not have heard this message. Our HEAVENLY FATHER, “JESUS” and their “HOLY SPIRIT” will take care of the rest. 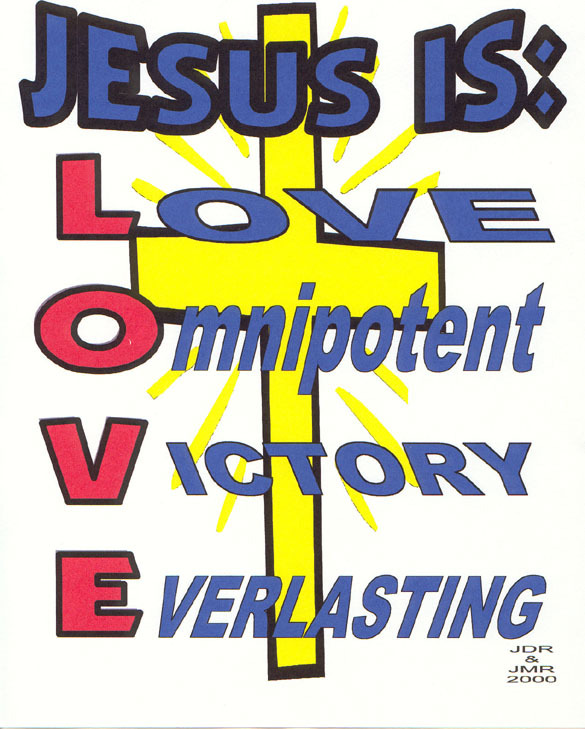 In Relation to Salvation, The (Prize), It is written (Romans 10:9): “That if we confess with our mouth the Lord Jesus and believe in our hearts that God has raised Him from the dead, WE SHALL BE SAVED.” This is the scripture that is most used when teaching the way to come to Jesus and become born again. Brothers and sisters, if you’ll notice, that verse states, clearly that WE SHALL BE SAVED and not that we are saved. The words, shall be, in front of a word indicates a promise of something happening in the future and not something that happens instantaneously as the words are saved and am saved would indicate. Traditional teaching falls under the latter, but Jesus himself did not say a person is saved at the time they come into belief concerning him. E name sake, but he that endureth to the end SHALL BE SAVED. Mark16:16 He that believeth and is baptized, SHALL BE SAVED, but he that believeth not shall be dammed. 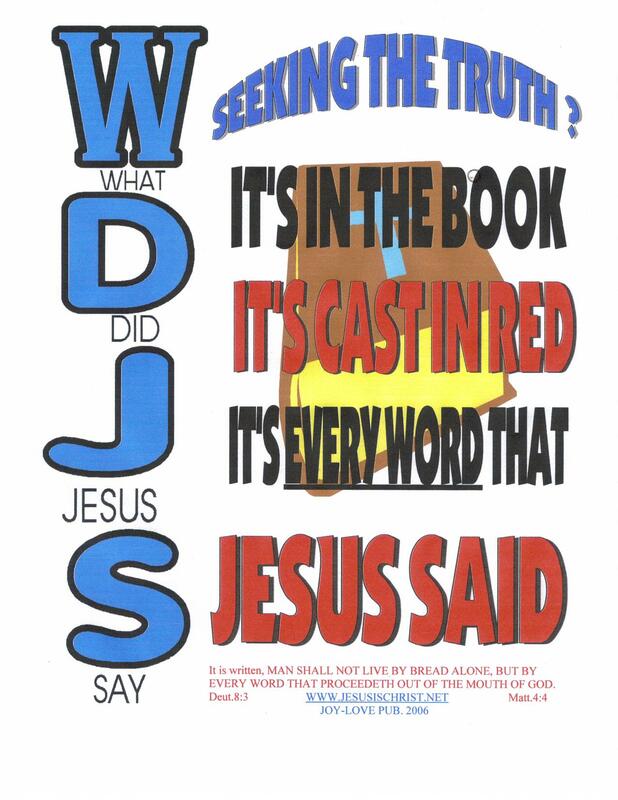 John 5:34 But I receive not the testimony from man, but these things I say that ye might be saved. John 10:9 I am the door, by me if any man enter in, he SHALL BE SAVED. 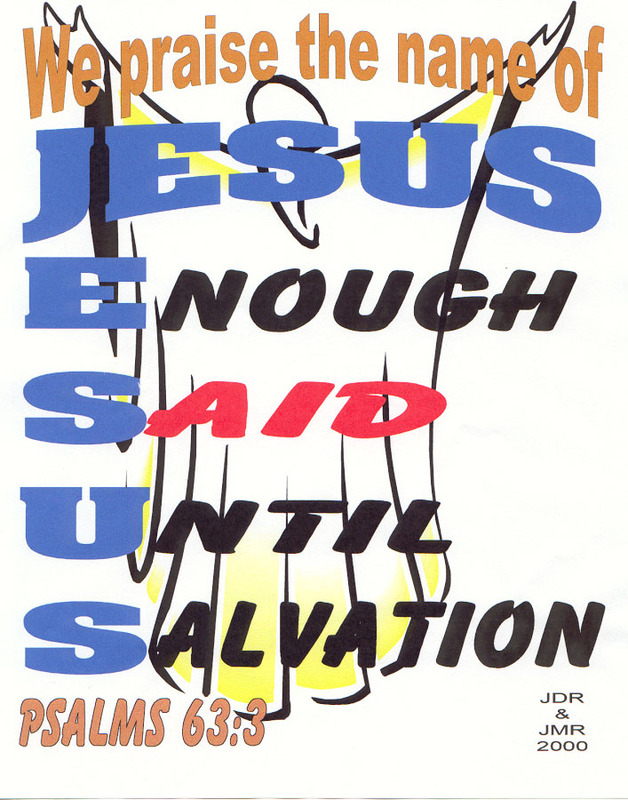 Peter: Acts 2:21 And it shall come to pass that whosoever shall call on the name of the Lord SHALL BE SAVED. 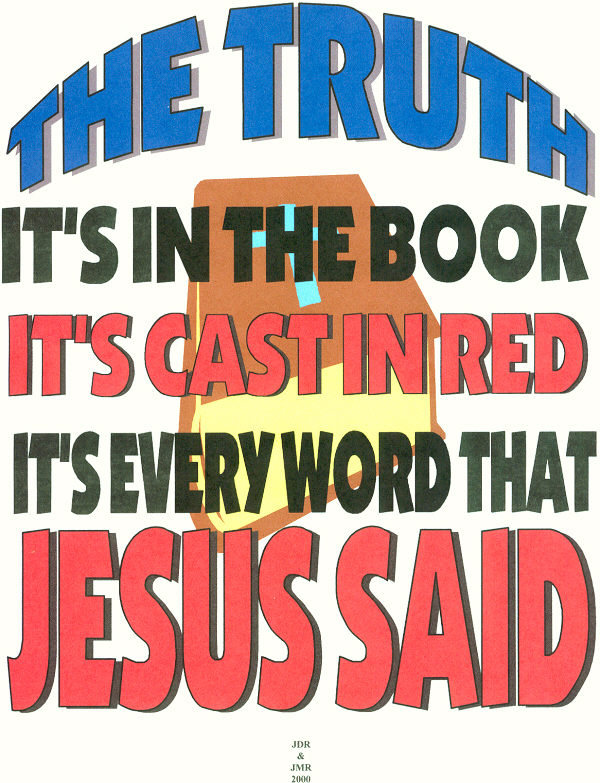 Acts 11:14 Who shall tell the words whereby thou and all thy house SHALL BE SAVED. Acts15:11 But we believe that through the grace of the Lord Jesus Christ we SHALL BE SAVED, and thy House. PAUL: Romans 5:9 Much More then being now justified “by his blood, WE SHALL BE SAVED from wrath through him. Romans 5:10 For if, when we were enemies, we were reconciled to God by the death of his Son, much more being reconciled, we SHALL BE SAVED by his life. Romans 10:13 For Whosoever call upon the name of the Lord SHALL BE SAVED. Romans 11:26...and all Israel SHALL BE SAVED. If we notice in the previous scriptures, never do the words are or am appear before saved in relationship to salvation or the prize. The Holy Spirit has taught us that the time referred to in the phrase SHALL BE SAVED, refers to the moment of the Rapture, when we all will Know who is saved or rescued from the tribulation or wrath of our Father on this earth because at that point, if we are saved we will meet our Savior Jesus Christ and if not we will meet the Anti Christ. No one knows at this point, who is or is not saved except the Father and Jesus. Jesus said: that there would be those who would use His name and perform wonders in His name and at that time He will not even recognize them as belonging to Him, and will tell them to depart from Him. So it’s not up to us to say who is saved or who isn’t. That is our Father and Jesus’ business, for they alone know our hearts. But it is for those of us who have given our lives to them and are Born Again (Which our Savior said we must be, to stay focused on the gift of the HOLY SPIRIT who abides in us as we live, to teach and guide us in the truth of how to be eligible to be saved when saving time comes. No where in the word of God, the BIBLE does it tell us to trust in each other? Our trust is to be given EXCLUSIVELY to Our HEAVENLY FATHER GOD,JESUS and Their HOLY SPIRIT. 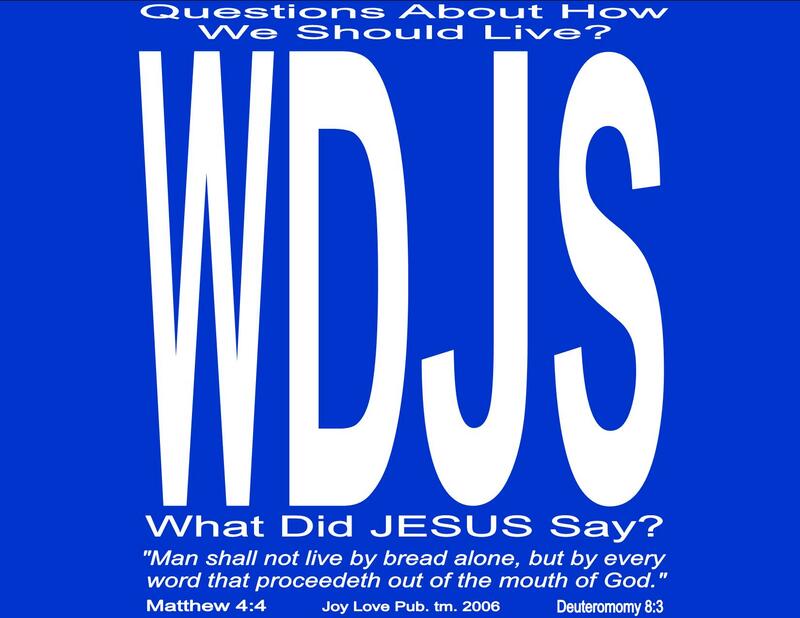 I am sure you remember the WWJD (What Would Jesus Do) promotion from a few years ago, that was a national success in pointing people, especially believers, in the right direction when questions arose in their lives concerning the right choices to make. Those answers came, not so much from what our Master did, but what He taught us with the words that proceeded from His mouth. His words, according to Jesus in Matthew 4:4 are the standard by which we should live. His works, as awesome as they were, showed His Power and also the purpose of drawing the multitudes to Him, the “Greatest” Marketing plan of all time, considering the natural resources and technology not available to Him. Once He had their presence and attention He taught on every aspect of life. So, in conclusion, when it comes to how we should live, nothing that he did, with exception of the crucifixion and the resurrection, is more important than what our Savior has to say. Although we did not author the following Revelations, we included them in this handout because we have agreed with their contents since 1980. Brother John Fountain is not responsible or has previously agreed with any other Contents contained in this handout. For weeks, a little chocolate girl named Brenda and I climbed the stairs of Sister Betty’s house to practice for our church play. A Sunday School teacher and Bible enthusiast, Sister Betty drafted us for a dramatic interpretation of a passage of Scripture: St. John 4. I was about 10 and Brenda about 7 or 8. I was Jesus. She was the Samaritan woman. We were both budding thespians, good kids from good church-going families with praying grandmothers who loved the Lord. We arose on Sunday mornings fully aware that — barring serious illness or the Lord having returned on a cloud to rapture the church — Sunday School, and nearly all-day worship service, was inescapable. It wasn’t church per se. Some things about it I liked: singing in the choir, the music, the funny way people sometimes danced in the Spirit. I liked Sunday School and learning about Jesus. But even as a child, there seemed something very isolating about the whole church experience. Most kids I knew didn’t go to church and our religious circle seemed seldom to connect with anyone beyond our walls. Oh, I heard powerful testimonies and saw what “the saints” claimed were the myriad manifestations of the Spirit. But all this paled in comparison to the manifestation of darkness and evil that encompassed my neighborhood, where thieves even broke into the church, stole offering plates, choir robes and tambourines. Even back then, there seemed a fixation with “going to church” more than on “being” the church. As a full-grown man, especially of late, I have made no secret of my absence, or defection, from the institutional church. For I find in it no place for me. And in some ways, I realize now that in some ways this is the way it has always been. I “liked” the comment, then responded: “But may I ask, my brother, does to assemble together as believers really mean to go to church? He has said wherever two or three are gathered in His name that He is in the midst. And when he replied to the woman at the well when she inquired whether Jerusalem or ‘this mountain’ is where we should worship, he answered not by telling her where, but in what manner to worship: In spirit and in truth. “What if the church is broken, no longer a healing station, not a shelter from the storm, insensitive, misguided, puffy, stuffy, insincere, hurtful, dysfunctional? I never heard back. Instead, my Christian brother responded by promptly “unfriending” me and removing himself from contact. In some ways, that is what “the church” has done. And I might be lost were it not for Sister Betty, little Brenda and my knowledge of an encounter another outsider had with the Savior more than 2,000 years ago. If I get one more invitation to come to church I think I’ll scream. Maybe not. But the point of my conscious disconnection from the “institutional” or congregational church, and also my public writings on the subject, is that I have found after five decades on this Earth that “church” no longer works for me. I’m not talking about Christ, or the Church — big “C” — that is that universal body of Jesus Christ, which in its true essence is a church without walls. I’m referring to that religious, physical construct created in the name of Christianity long after Jesus’ death and resurrection. I still have a couple of wonderful churches where I occasionally fellowship. In fact, some of my best friends are pastors (lol, but true). Seriously though, while I have found church can be one vehicle for fellowship and spiritual nurturing, churches—small, medium or mega-sized — too often succumb to legalism, traditionalism and separatism and are sometimes woefully disengaged from the communities where they exist. I’m not knocking faithful “church” attendance for those who find in it or through it a means to fulfill their Christian calling. But my experience is that churches can also be stifling, oppressive, status quo, narrow-minded and often misguided, lumbering full-steam like a ship off course, the captain having lost radio contact, his crew following blindly and the passengers carrying on, so unaware. I’m talking about churches where the cross has been replaced by jumbo video screens; churches, even in small towns, which pastors endeavor to transform into mega-churches; churches run more like fiefdoms than as branches of a universal body whose aim is to redeem the world, to help the poor, the orphaned, the widowed and others who are outcast or dwell on the fringes. I realize that by speaking my mind I am stirring the pot. So I should not have been surprised by some of the responses to last week’s column, letters from good church folks, clergy and seminarians, scolding, correcting, challenging, and of course, inviting me to church. Huh? What do I say to that? “I am not in search of a church home. I have one. It is my house, where despite my shortcomings, sins and mistakes, I endeavor to walk with Him and to lead my children in a life-long walk of faith… And yes, I fellowship with like-minded Christian brothers, though rarely in a church building. And I am certain enough that I need not belong to a ‘church’ that I am staking my soul on it . . .
Church hurt, we have often wandered like lost, wounded sheep. I stand with a foot in both worlds — one in hurt, the other in hope. Indeed my own experiences and the anecdotes of others over a lifetime have well acquainted me with this trail of tears. And I wonder: How must God feel? How many others have been wounded? How many will never recover? Shunned, used, raped, abused — all in the church. Ridiculed, demeaned over the pulpit, unjustly booted from church offices after a life of faithfully serving and pouring into others’ lives. Victimized and marginalized by gossip and backbiting, “she” was scrutinized and criticized. Her offense? Wearing pants and makeup. Betrayed, abandoned or having suffered the absence of those Christian brothers and sisters on whom we believed we could depend. Browbeaten with legalism and traditions that stem more from the whims of man than the word of God. Such is the substance of hurt suffered by many in the church. And yet, I can still hear the unsympathetic chiding of some “saints”: Get over it! Stop making excuses. Shush. Hush. Stop whining. Take your eyes off man and put ’em back on God. Except, God didn’t hurt us. Church folk did. The hurt alone was enough to make me walk away. Yet, there’s something that keeps me searching for the church I once knew. Except opening the door of a new church is like opening a box of chocolates: You never know what you’re going to get. As a Pentecostal son who attended Catholic school, who married Baptist and who, as I have traveled, attended Lutheran, Methodist, Full Gospel, Apostolic and other assortments of Christian churches, I am aware that church hurt knows no boundaries — racial, gender, denominational or generational. I began searching long before I realized, moved partly by having experienced as a teenager the transformative power of a Christ-centered body, operating in the authority and under the leading of the Holy Spirit in matters of everyday life. Except amid hurt, we proceed with caution, careful to open our hearts to the vulnerability requisite for intimate relationship. I wonder if, like someone abused, I too often have focused on the ounce of bad, or imperfection, rather than the pound of good. This much I know: I have longed for that fervent connection I once had to Christians like my grandmother and the little old church mothers with whom I used to pray at storefront churches on Tuesday and Friday mornings until we felt His spirit, and whose faces shone with God’s glory more brightly than the white apparel they wore at Sunday service. I long again to be whole, renewed, restored, reconnected. Wounded, I walked to my car and drove away, and like so many others, I’m still searching for the church we once knew. Kneeling alone over the bathtub in our West Side apartment and saying the Sinner’s Prayer at 19, I found Jesus. It wasn’t how I had imagined as a child I might someday come to know the Lord, or even how I had many times witnessed sinners come to repentance at my church — tears and snot flowing as the saints prayed. I knelt, though not in the presence of the saints or in the sanctuary, but believing, as my grandparents had assured and the Bible promises, that I could call upon God wherever I was. “He will answer. I declare He will,” I can still hear Grandmother say. Days later, I went to church. The saints — aware of my previous sinful ways — had trouble believing me. But the undeniable transformation in my ways and attitude, and my steady profession of faith, in time convinced all doubters. Back then, I knelt with the “prayer warriors,” the little gray-haired church mothers. They were the church’s backbone, even if they were sometimes treated like second-class citizens. They cooked and sold the fish and chicken dinners that paid off church mortgages. They counseled, cried with and comforted us. And they prayed. I witnessed the power of God transform lives, restore lost sons and daughters. I witnessed the sick healed, broken lives made whole. This is the church I once knew. Though less than perfect, the church was transcendent, loving, forgiving, repentant, reverent. Always clear was its unflinching sense of purpose and commitment, its submission to God. It was not easily swayed by money, political influence or evil or selfish agenda. Selfless, sacrificial and fluid, moving beyond its walls. Supportive, faithful, life-giving, sustaining, this is the church I once knew. Still, at times, I found the church insufficient — deficient in encouragement, love, or grace, hurtful. As long as I operated within the context of what some in the church believed was God’s plan for me, I had my church’s love and support. But even back then, when I raised critical questions — about evangelism, about our true purpose or the reigning dogma — I was told, “You think too much.” And as my journey for education and a career led me farther from home, my understanding of God and “the church” also widened from what I once believed. But even as I have stumbled, sometimes fallen or failed, sometimes felt irredeemably ashamed, broken beyond repair or hopelessly disconnected, one thing has saved me. It is the one thing that has never changed: The truth of God — that He loves me; that Jesus died and cares for me; that He will never leave me nor forsake me; that no matter how “the church” falters, God never fails. And though deeply wounded in the church, this much I know: My wounds are not unto death, for He is my resurrection. I have discovered that church does not live within walls but within the hearts of men. That He cares not about buildings but souls. And that speaking in tongues pales in comparison to speaking to one another in love. I have come to believe that the church I once knew is to be found on my knees and lived when I arise. That He has not called us to go to church but to be the church — transcendent, transforming by His love as we assemble, even if as few as two or three, to worship Him in spirit and in truth. And this much I have resolved: That my hope does not lie in the church I once knew but in Christ. These Messages are not meant to be revolutionary, but “Revelationary.” JESUS said it; We believe it, that settles it.